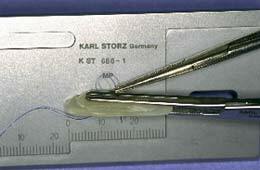 Cartilage grafts are frequently used in rhinoplasty .  This cartilage is most often taken from the septum or from behind the ear . 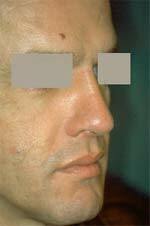 The objectives of cartilage grafts are to prevent a weakening of the skeletal structures once a reduction rhinoplasty has been performed , to improve the harmony of the nose by bringing an equilibrium between the differents areas of the nose and also to impprove the shape of the nose or to augment the nose. Cartilage grafts can be placed in the root , the dorsum, the middle vault , the tip , the ala ,and the columella. 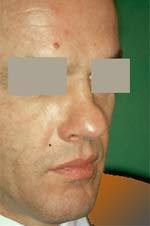 Radix grafts to the radix are indicated when there is a depressed radix and large nasal base which would otherwise require a very extensive or even impossible reduction and also when there is a large nasal hump which looks less prominent after augmentation of the radix and consequently will require less reduction. Septal cartilage is the material of choice for the nasal bridge because of its consistency , its flat shape and the ability to be incised or crushed and used as multilayered grafts.